While online gaming with video game consoles didn’t really reach mainstream proportions until systems started coming with built-in broadband capability, network connectivity options (usually modems) were available for most systems going back almost to the beginning. For the Sega Saturn, this was the Net Link. 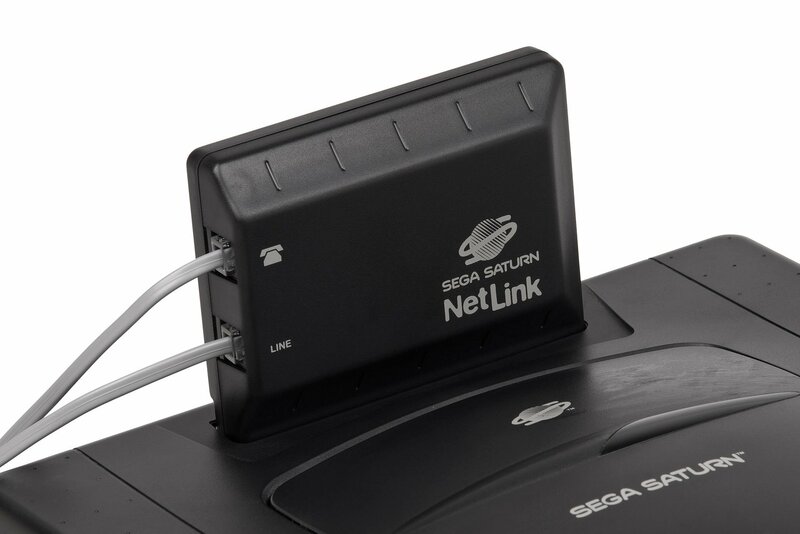 The Net Link was essentially a $200 28.8 bps modem with a build-in web browser that plugged into the Sega Saturn cartridge port. While that sounds pretty expensive, it was actually pretty reasonable for such a device at the time (1996). A keyboard and mouse were also available for the Saturn which made the Saturn actually tolerable to check e-mail or to do light web surfing on. Of course, the main reason you would want this device is in order to play games against other people remotely. 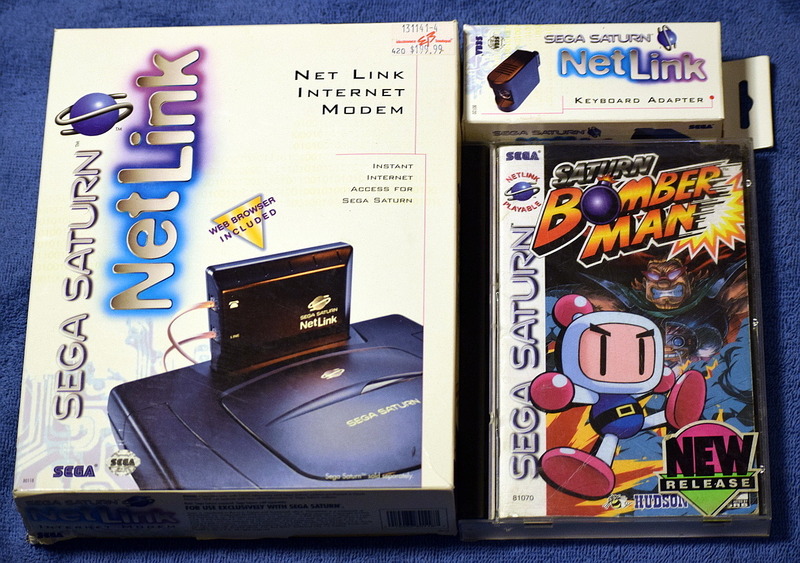 The Net Link had a couple of advantages over other similar devices and even over current ways to play games over the internet. It did not require a subscription or the use of a Sega specific service. You simply configured the Saturn to dial into whatever ISP you used for Internet access or dialed the person you wanted to play against directly. This was a normal way of doing things for computer users but it was pretty novel for console gamers.